ONCHAN, Isle of Man – August 10, 2017 – In January 2018, the well-loved top tier PokerStars-sponsored live event, PokerStars Caribbean Adventure (PCA), will return, PokerStars, the market leading poker brand of The Stars Group Inc. (Nasdaq: TSG; TSX: TSGI) brand announced today. “We’re reviewing our live events and incorporating player feedback to ensure we’re delivering the highest quality experience and exceeding player expectations whenever possible,” said Eric Hollreiser, PokerStars Director of Corporate Communications. “This feedback included suggestions that we restore the PCA name and improve the quality of that event to reflect the great heritage and unique experience that made PCA one of the most-anticipated poker events of the year. We’re restoring the name and reinvigorating the event to ensure it remains a premiere poker festival. The PCA will return to the stunning Atlantis Paradise Island Resort in The Bahamas from January 6–14, 2018 for the 14th consecutive year and will celebrate years of sun-drenched memories and life-changing moments. 2018 marks the 15th year of PokerStars live events and what began on a cruise ship back in January 2004 has grown into the best live poker experience on the planet. The event will offer players an action-packed nine days of tournaments, cash games and activities. The Main Event has historically been one of the most popular tournaments on the poker calendar, and in 2018 the buy-in will return to $10,300. For high stakes players, there will be plenty of prestigious events to tempt them off the beaches. The Super High Roller tournament will start off the nine-day festival in style and will have a buy-in of $100,000; with the $50,000 and $25,000 High Roller events also on the schedule later. As a way of thank you for players continued support, all tournaments over $10,000 will see admin fee reductions, where the fee will be capped at $300 down from $2,000, $1,500 and $750. Admin fees will also be reduced by 50% on all tournaments with levels of 19 minutes or less. It is estimated that these reductions will keep approximately $300,000 or so additional dollars in the player’s pockets during the event. After WCOOP, there will be special promotions running including “Road to Bahamas”, with regular MTT and Spin & Go satellites awarding PCA packages; special daily challenges; randomised satellite ticket drops on our most competitive weekly MTT events; and extra special “Ultra-Satellites” with a large number of guaranteed packages. 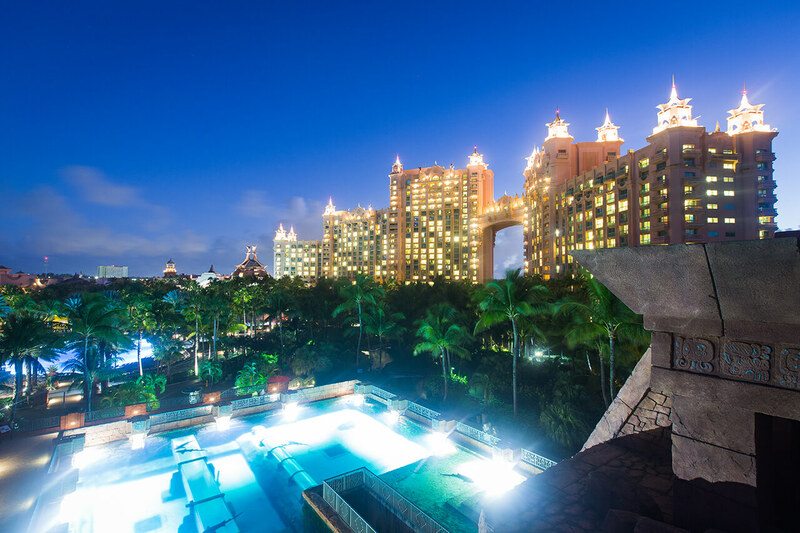 For further information on what to expect at PCA, please visit the PokerStars Blog here. Satellites for PCA start in September on PokerStars. There will be more ways to qualify than ever before and players can qualify for as little as $1.10. Stay tuned for full details of the event including the tournament schedule and more information on all the special promotions available via the PokerStars Live webpage. PokerStars Live is the home to all PokerStars-sponsored live events and cardrooms. The PokerStars Championship, sponsored by PokerStars, is the world’s biggest poker tour. Bringing together some of the world’s most exciting and prestigious poker tournaments, the PokerStars Championship incorporates some events previously part of the European Poker Tour, North American Poker Tour, Latin American Poker Tour and Asia-Pacific Poker Tour. Collectively, these events have paid out well over $1 billion in tournament prize pools globally on five continents since 2004. Confirmed PokerStars Championship sponsored live events for 2017 include the Bahamas, Panama, Macau, Monte-Carlo, Barcelona and Prague. PokerStars Live is also home to the PokerStars Caribbean Adventure (PCA), which takes place every January in the Bahamas, one of the richest poker festivals in the world. The PokerStars Caribbean Adventure, PokerStars Championship, PokerStars Festival and PokerStars MEGASTACK poker tour brands are ultimately owned by The Stars Group Inc. (Nasdaq: TSG; TSX: TSGI). Further information on the PokerStars Championship, PokerStars Festival and PokerStars MEGASTACK is available online at www.pokerstarslive.com.